Looking for a something creative and fun to do in East Falls? Want to add a little sparkle to your life and your neighborhood? Tile Artist and Instructor, Trish Metzner, will lead a community-engaged mosaic art project aimed at beautifying the East Falls Ferry Avenue gateway corridor. 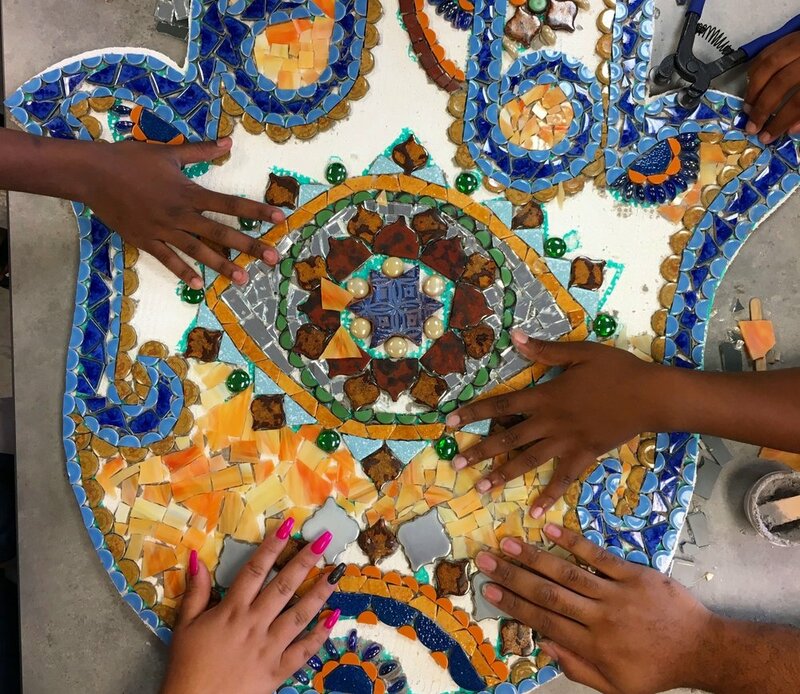 The class offers residents the opportunity to learn mosaic, get involved in the local creative arts scene, and contribute something meaningful to the neighborhood we hold dear. Be a part of this community driven mural by making your own mosaic fish, or consider sponsoring someone else to take this four-week mosaic art workshop. Trish will teach the basics from start to finish in a relaxed evening of fun. In Spring 2019, your fish will be installed in a school of community made mosaic fish surrounding the main sculpture, a 4ft tall Catfish named Waffles. 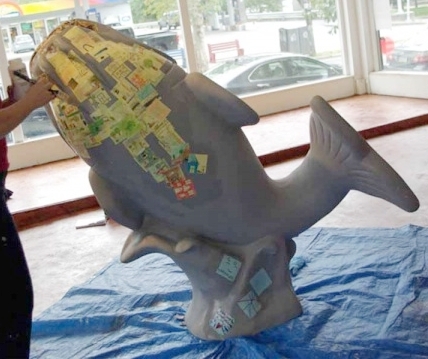 The mural showcases the originality of East Fallsers and the symbiotic relationship that residents have with each other and their surroundings, namely the Schuylkill River Watershed Habitat. A hand made ceramic plaque will recognize the donors and participants who contributed to the project. Reel One In! Apply for a Workshop Scholarship.